The United States is the only country that continues to profit from the anti-Russia sanctions, head of the Republic of Crimea Sergei Aksyonov told reporters after the meeting with the Italian delegation of lawmakers and businessmen. SIMFEROPOL (Russia) (Sputnik) – On Thursday, the delegation of Italian lawmakers and businessmen, representing the northern Italian regions of Veneto, Liguria, Lombardy, Toscana and Emilia-Romagna, arrived in Crimea to take part in a number of events dedicated to the Russian-Italian and the Crimean-Italian relations, common cultural heritage and economic projects. “А breakthrough in regard to the sanctions has already occurred. Today everyone understands that the only country that benefits from these sanctions is the United States. We do not understand why all of us have to pay the price while the United States continues to cash on it,” Aksyonov said. The Crimean peninsula seceded from Ukraine and reunified with Russia after more than 96 percent of local voters supported the move in a referendum in March 2014. Kiev, as well as the European Union, the United States and their allies, did not recognize the move and consider the peninsula to be occupied territory. 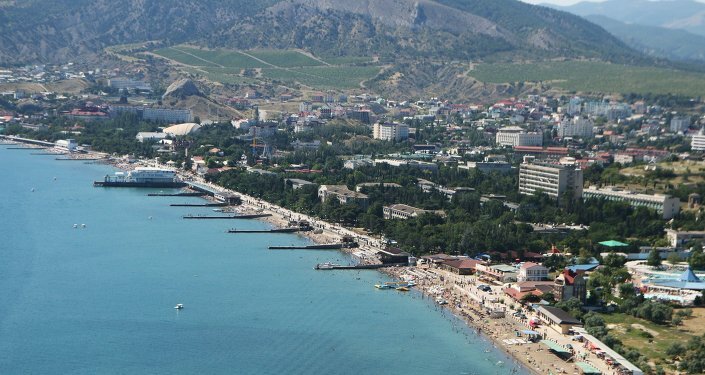 Nevertheless, over 60 delegations from dozens of countries have visited Russia’s southwestern Crimea region this year, defying Western restrictions, including those from France, Italy, Jordan and many other nations.